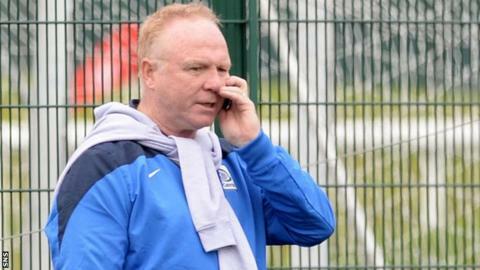 Former Scotland manager Alex McLeish has agreed to coach Zamalek, the Egyptian club have announced. The 57-year-old will take over from former Tottenham striker Mido, who was sacked two weeks ago. A statement on Zamalek's official website said: "Murtaza Mansour, chairman of the club, has confirmed that Alex McLeish has signed with him in principle to lead the first team." McLeish left Genk last summer after a season with the Belgian club. The Scotsman parted company with the Pro League outfit after they finished seventh and was linked with Zamalek before Mido started his second spell in charge in January. Mido's latest spell lasted just 37 days and seven games with Zamalek, who are currently second behind Cairo rivals Al Ahly in the Egyptian Premier League. He became the third coach sacked by the club this season following the dismissals of Jesualdo Ferreira and Paqueta. Former Aberdeen and Scotland defender McLeish has also previously managed Motherwell, Hibernian, Rangers, Birmingham City, Aston Villa and Nottingham Forest.